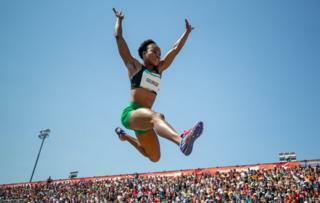 While in the athletics stadium on Sunday, Nigeria’s Victory George takes part in the long jump. On the continent, football fans could watch a host of Africa Cup of Nations qualifiers and on Tuesday in Liberia’s capital, Monrovia, this Congolese fan gets ready for his nation’s clash with the Lone Stars. 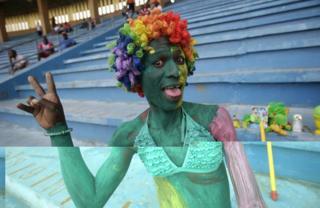 Congo go on to lose 2-1. 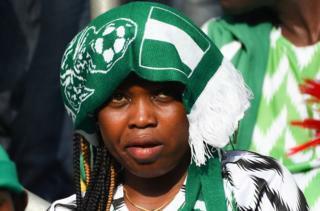 On Saturday, this fan from Nigeria watches her team beat Libya 4-0 under the hot sun in Uyo, southern Nigeria. Tens of thousands of Congolese have been forced back to their country from Angola in recent days. 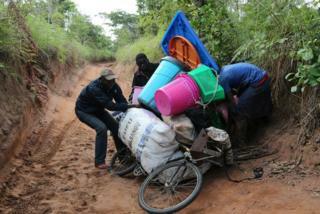 On Friday, this group struggle to wheel their belongings along a road in the Democratic Republic of Congo’s Kasai province. 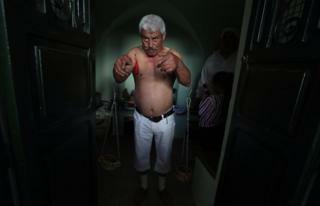 In Tunisia on Sunday, Sufis gather in the Saïda Manoubia mausoleum in Manouba to perform religious songs and dances to commemorate the life of the revered figure. An Egyptian cotton worker harvests the crop, which is a key export for the country, on Tuesday in the village of al-Hawaber, north-east of Cairo. 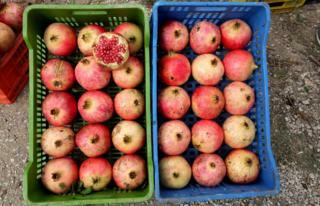 On the same day in the Tunisian village of Testour, in the north, farmers gather the pomegranate harvest, much of which is exported across the region. 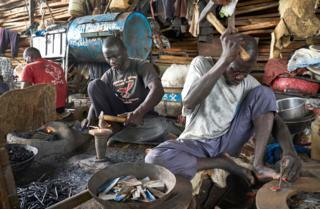 In Mali’s river port of Mopti on Saturday, blacksmiths are preparing parts that will help to build fishing boats. 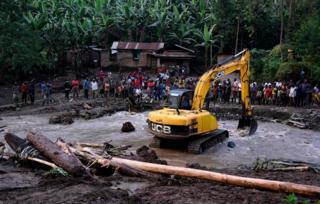 On Friday, a digger removes debris that was washed down the mountain after torrential rains caused a landslide on Mount Elgon in eastern Uganda, killing 43 people. 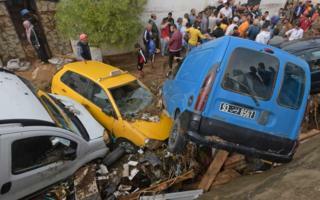 While across the continent in Tunisia, cars are smashed together by flooding after heavy rains hit the capital, Tunis, on Thursday. 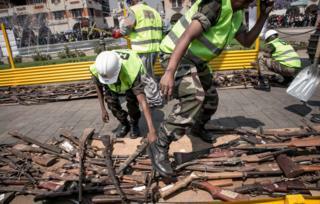 On Tuesday, in Madagascar’s capital, Antananarivo, soldiers inspect guns that are about to be crushed by a bulldozer in an effort to reduce the number of weapons in circulation.